Homeschooling is such a rewarding experience for parents and children alike, but at times it can frankly be quite exhausting. Children are the primary focus of every parent’s life, but that becomes intensified when you are a homeschool mom, spending nearly every hour of every day together. It is so easy to find yourself on the bottom of a constantly growing to-do list, constantly setting your own needs aside in favor of the needs of your family, home, and others around you. Making time for yourself as a homeschooling parent is something that isn’t a priority when it absolutely should be. When you don’t take time out for yourself, you’ll find that your motivation starts to wane and you become increasingly frustrated with those around you. Finding that time in your day, however, can be a serious challenge. Here are a few simple ideas that can help you carve out the time you need to make self-care a priority. Even if you are the one who has the main educational responsibilities in your home, homeschooling isn’t a one man show. Find ways to move some of the daily tasks off of your plate, allowing you to take some time each day to focus on your personal needs, projects, relationships, and time with the Lord. At the same time, make sure that your spouse has space in their day to do something for themselves, as well. 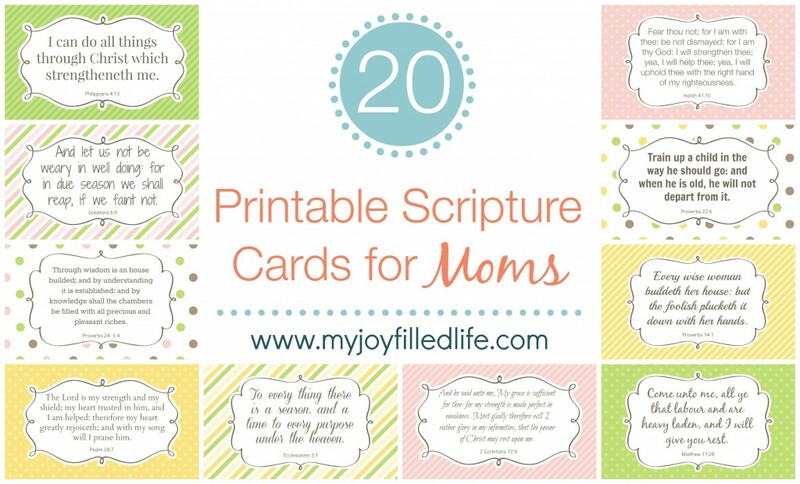 If you have older kids, delegate some chores, duties, and even some of the teaching of the little ones to them as well. Just about every homeschooling parent is faced with this same challenge, even if they don’t want to admit it. Talk to homeschooling friends and arrange a child care swap that will allow each of you to take time for yourselves. Set up weekly playdates, alternating as host. Take a “co-op” approach by having a group of families each host a class for a few hours a month while the other parents get a break. Get creative with the homeschoolers in your community to work together to combat burnout! You don’t have to do this alone – find your tribe! When your options are limited, there are still hours in the day that you can take as your own. Set your alarm an hour or so before the kids get up, making it clear to them that they are not allowed out of their rooms before a set time. In the evening, set a hard stop on when your family to-do list is put away until tomorrow and the rest of the evening belongs to you. Spend some time reorganizing your homeschooling schedule, as well as your list of other responsibilities. As you’re reworking the structure of your day, add in blocks of time that are dedicated to your own needs. Post this schedule in a central area and refer to it often. When your time is well-organized, you’ll waste less of it meandering between tasks and be able to find enough hours in the day for yourself. Those two little letters can make all the difference in making time for yourself. You are a human being and not a single one of us can do it all. It is completely acceptable to tell the kids that no, they cannot add another extracurricular to the schedule. It’s okay to tell friends that no, you cannot babysit at the last minute, just because you’re at home. You don’t have to volunteer at every event or activity. Be sure to respect your own time and expect the same respect from those around you. Showering and driving are great times to use for getting refreshed and getting in a little ‘you’ time by listening to some music, worshipping the Lord, listening to an encouraging podcast, or listening to an audio Bible. Or you can use these times to just have some peace and quiet and pray. One great resource you can use during those blocks of time, are the online conferences from Homeschool Summits. 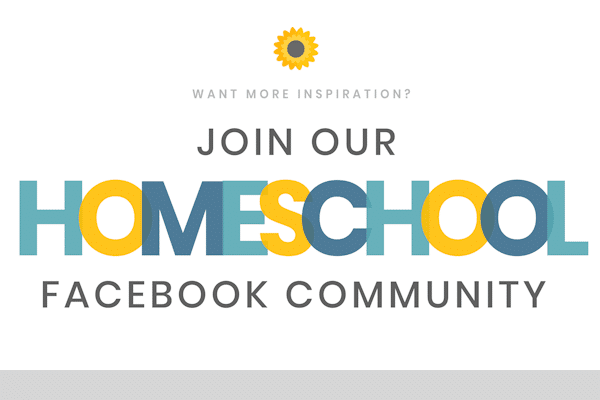 Homeschool Summits organizes online conferences around different themes (although all pertain to homeschooling). 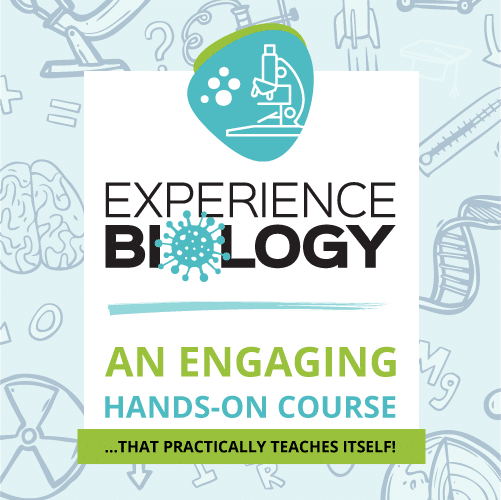 And one of the nice things about these conferences is that you can view the sessions for free (for a limited time; a life-time access option is also available for a fee). 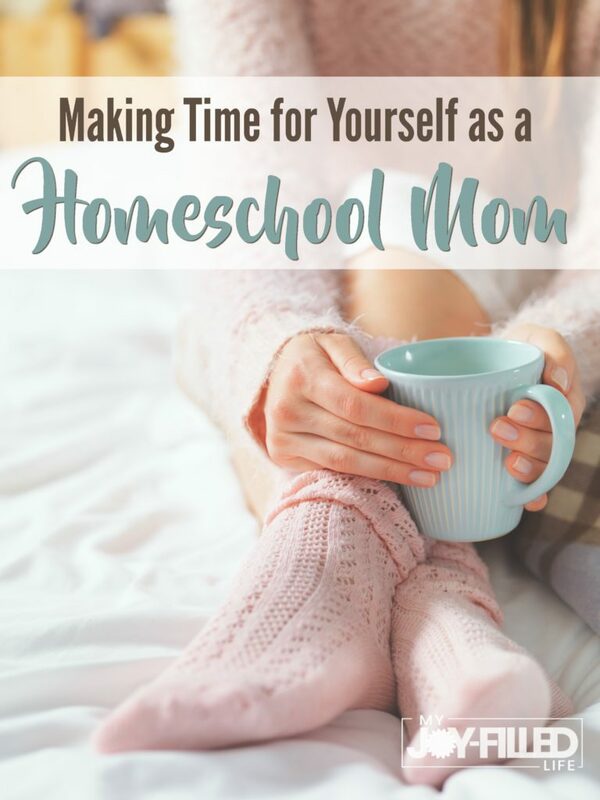 Making time for yourself as a homeschool mom can be a challenge, but it isn’t impossible. Take a step back and look at your daily schedule to see where you can make time, then get others on board to help make your plan happen. Both your motivation and overall well-being will improve when you make time for yourself. Great ideas! As a homeschool mom who had her kids with her ALL THE TIME, it was important for me to find ways to have me time. My favorite was/is finding time when they are asleep. Thanks for sharing!